Arthur A. Levine Books, 9780545474306, 339pp. Thirteen-year-old Dahlia's reluctance about attending Camp Arava changes to wonder as strange things begin to happen, and soon she is connecting with David Schank, a student of the kabbala, and the maze he built at the camp in the 1930s. 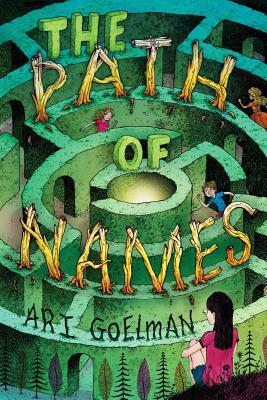 Ari Goelman has published many science-fiction/fantasy short stories, and his academic work has been covered by the Brookings Institution and the NEW YORK TIMES. An American citizen, Ari currently lives and teaches in Vancouver, Canada, with his family and the rain.